Windows users who like to dig into System Settings and Administrative tools in older versions, might notice it’s not as easy to find in Windows 8. Experienced Windows users who like to dig into its System Settings, and other tools like Administrative Tools in older versions of Windows, might notice it’s not as easy to find in Windows 8. 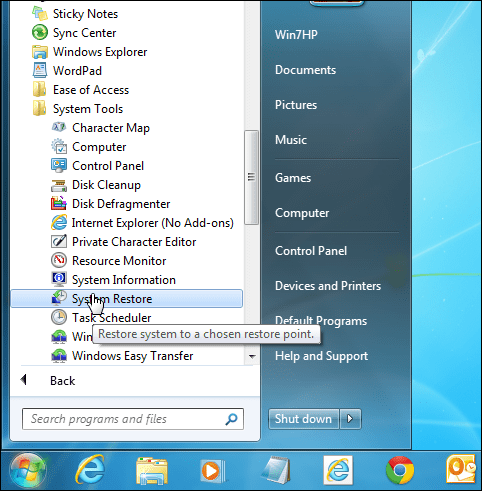 With the modern interface of Windows 8.1, you can still tweak your system as you could with XP—Windows 7. The tools are still available, and here’s a look at where they are hiding. The tools I’m talking about are readily available from the Start menu by going to Start > All Programs > Accessories and from there you can access the built-in Windows apps and system tools you’re used to, such as Disk Cleanup and Task Scheduler, System Restore, Wordpad, and others. As with all versions, there are always ten different ways to get to something in Windows 8.1, but here are several easy ways to get to all of the built-in tools you need. For example, on Windows 8.1, hit the Windows Key and from the Start screen type: admin and you’ll find Administrative Tools; just click on it. 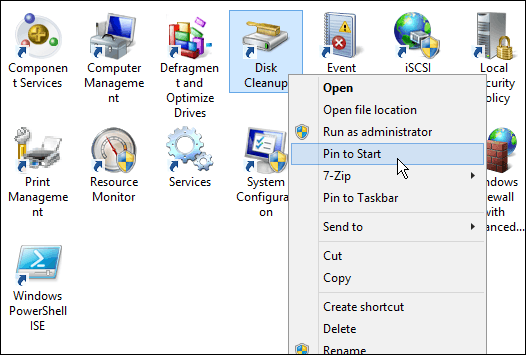 Find the tool you need from the selection that opens on the desktop and if you want easier access to it, create a shortcut on the Start screen or Taskbar. There are a couple of ways to get to Search, either by the method described above, using the keyboard shortcut Windows Key + S, or opening the Charms and click Search. No matter which way you get to search, you can also search for individual tools. 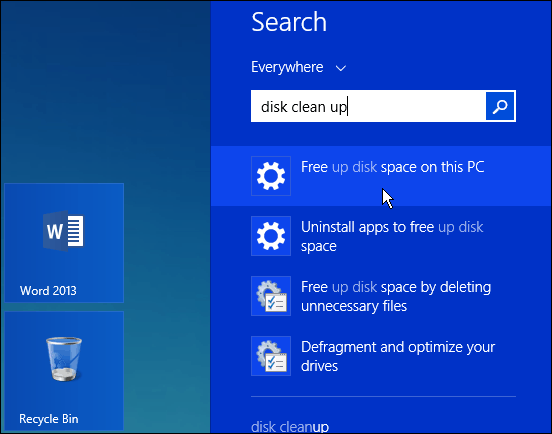 In the example below, I’m searching specifically looking for Disk Cleanup. 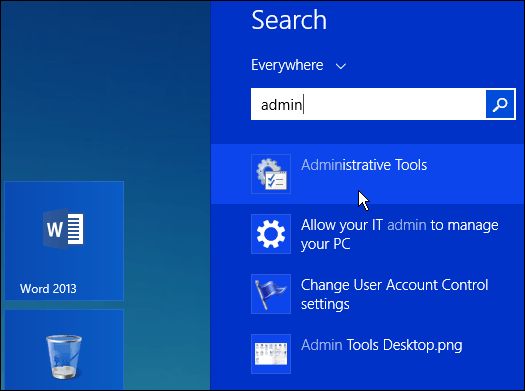 If you’re running the original version of Windows 8, read our article on how to add admin tools to the Start screen. 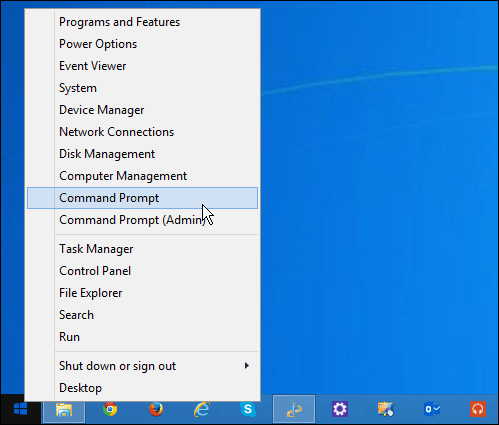 Or to find common tools like the command prompt, just right-click the Start button or use the keyboard shortcut Windows Key + X to show the so-called power user menu. If you are fine running Windows 7 for now, you might want to wait until the official release of Windows 10 later this year as the Start Menu returns, and it works a lot more like what you’re used to. If you got a new laptop or another device with Windows 8 this year, make sure to read our complete guide on Windows 8. What’s your take? 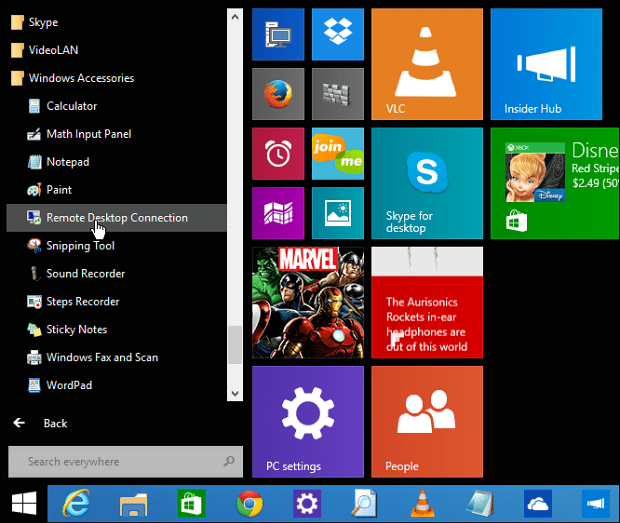 Are you new to Windows 8 and having trouble finding tools that you used to be able to find easily? Leave a comment below and let us know.